Johnson & Johnson’s Balversa has become the first targeted therapy for bladder cancer after an FDA approval at the tail end of last week for patients with mutations in the FGFR gene. Balversa (erdafitinib) – an FGFR inhibitor – is the first drug in the class to reach the US market and has been tipped by J&J as a future blockbuster with peak sales in excess of $1 billion a year. 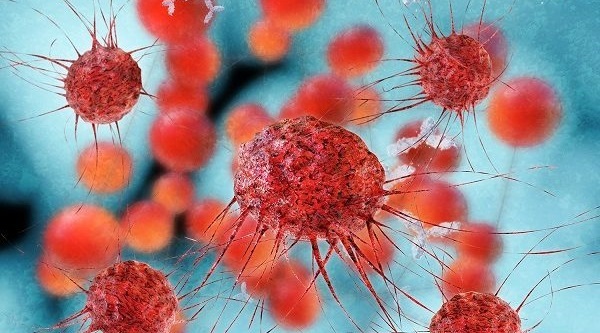 The FDA granted an accelerated approval for the drug in patients with FGFR-mutated locally advanced or metastatic urothelial carcinoma (mUC) who have previously been treated with platinum-based chemotherapy and seen their disease progress. A companion diagnostic for FGFR mutations developed by Qiagen has also been given a green light by the agency, with Balversa suitable for the treatment of tumours with FGFR2 and FGFR3 mutations. It is estimated that around 15%-20% of bladder cancer patients have some form of FGFR mutation. According to the FDA, FGFRs regulate biological processes including cell growth and division during development and tissue repair. “We’re in an era of more personalised or precision medicine, and the ability to target cancer treatment to a patient’s specific genetic mutation or biomarker is becoming the standard,” said Richard Pazdur, acting director of the FDA’s Office of Haematology and Oncology Products. The approval is based on an 87-patient study which revealed an overall response rate with J&J’s drug of 32.2%, including 2.3% complete responses and almost 30% partial responses. Patients responded on average for approximately five-and-a-half months. Bladder cancer saw few therapeutic advances for decades until the advent of checkpoint inhibitor therapy with five PD-1/PD-L1 inhibitor drugs – Bristol-Myers Squibb’s Opdivo (nivolumab), Merck & Co’s Keytruda (pembrolizumab), Roche’s Tecentriq (atezolizumab), AstraZeneca’s Imfinzi (durvalumab) and Merck KGaA/Pfizer’s Bavencio (avelumab) – approved for either first- or second-line treatment of mUC. About a quarter of patients in the Balversa study had previously been treated with anti PD-L1/PD-1 therapy, and some responses were seen in patients who had failed checkpoint inhibitor drugs. Balversa may not be on its own in the marketplace for too long though. While J&J seems to have a bit of a lead in the bladder cancer indication, a number of other FGFR-targeting drugs are coming through the pipeline. Among the rivals, Bayer has an FGFR inhibitor called rogaratinib in a phase 2/3 trial in urogenital cancers, while Incyte’s pemigatinib that is in proof-of-concept testing in bladder cancer, bile duct cancer (cholangiocarcinoma) and myeloproliferative neoplasms (MPN), with a phase 3 trial in cholangiocarcinoma starting up. Also in the running are BridgeBio’s QED Therapeutics, which licensed an FGFR inhibitor from Novartis called infigratinib (BGJ398) that is already in a phase 2 trial in patients with chemotherapy-refractory cholangiocarcinoma, with ArQule’s ARQ 087 also in mid-stage testing for that indication. Meanwhile, Basilea is testing its derazantinib in combination with Tecentriq in phase 1/2 mUC trial.